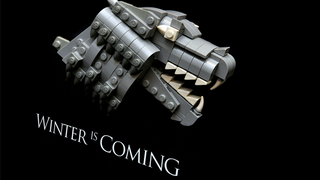 The Houses of Westeros have some pretty intricate sigils - but surprisingly they work rather brilliantly as little Lego sculptures, as Flickr user Omar Ovalle shows in this set of Game of Thrones Lego creations. They're all interesting builds - some simple, like the Targaryen's three headed dragon made up of parts from the Lego Castle line's Dragon, but then you get the elaborate ones like the Stark's Direwolf and the Twins of the Freys. Just wait until you see Lego House Bolton though! That's bloody great! Err, no pun intended. You can check out more of Ovalle's creations, including plenty more Game of Thrones Sigils, on his Flickr page.